Great news, fiesta-fiends. 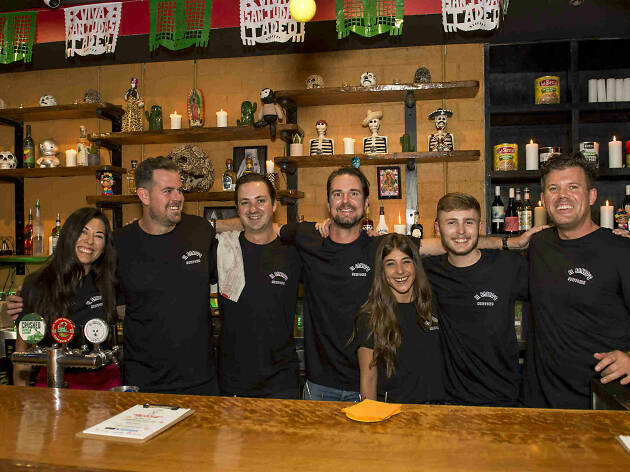 The Experience Group (team behind the Soda Factory and Rosie Campbell’s) have opened a pop-up bar-named after legendary Mexican wrestler El Santo – renowned for never removing his silver wrestling mask. 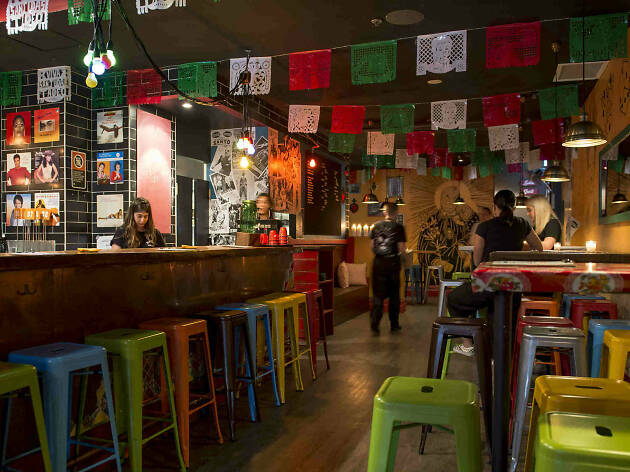 And like the legendary star of ‘lucha libre’, El Santo’s Newtown alter ego likes it wild and is all about the good times. 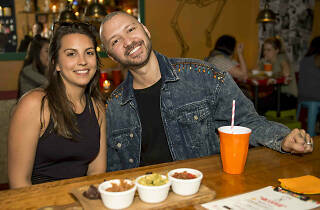 You won’t find any Tex Mex at El Santo’s, a fiesta of colour livening up the quiet end of King Street. 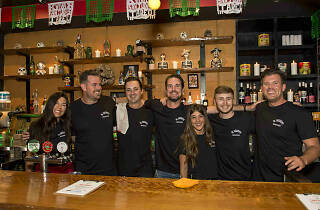 The menu is authentic, affordable street food, the music is loud, the frozen Margaritas are potent, and according to the owner’s boast, the tequila “smarts like Tijuana saddle-burn”. Similar to the Soda Factory, the entrance to El Santo’s is hidden – we can reveal it’s located behind a faux costume store. Just look out for the wrestling mask hanging above the door to find your way in for tequila and a tussle. While it may be hard to find, this newcomer is certainly approachable. Walking through the doors, Time Out felt like we’d crashed a Mexican street party. Piñatas hang from the ceiling and street art is splashed over the walls. The place exudes casual comfort and good times, whether for relaxed drinks at the bar, dinner with pals or a full-on weekend fiesta. 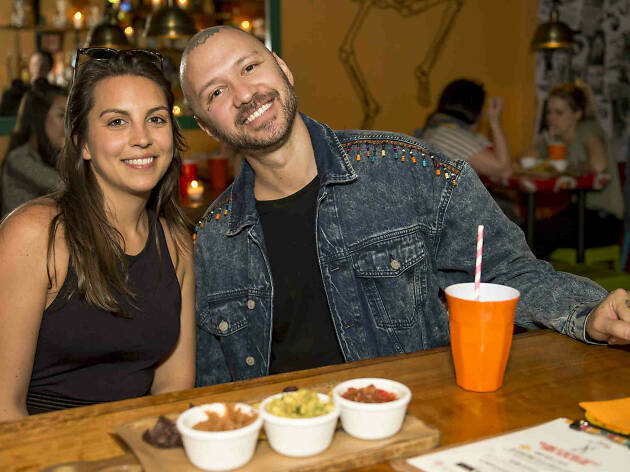 We were joining 50 lucky Time Out readers for a sneak peek with our friends at Altos tequila, getting the first taste of the damn spicy ‘dirty tacos’, drinking a few Margaritas and chilling to some sweet Latin beats. If you’re going in to check out El Santo’s yourself, they have a daily happy hour with $5 for a Tecate or a tequila. Weekly specials include Tuesday’s $3 tacos and $8 Margaritas; Wednesday, it’s musical bingo and a free taco with any full price drink; and Thursdays you can score a $10 Santo’s cocktail. But don’t drag your feet, amigos; this pop-up is only going to be around for six months. Find out more at the website, or on Facebook or Instagram. Arriba! 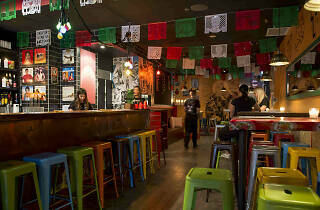 El Santo’s, 62-64 King St, Newtown 2042. 02 8096 9120. Tue-Sun 4pm-midnight.